Valerie Mac is helping develop an education program to reduce health risks for women who work in nurseries and ferneries in Florida. 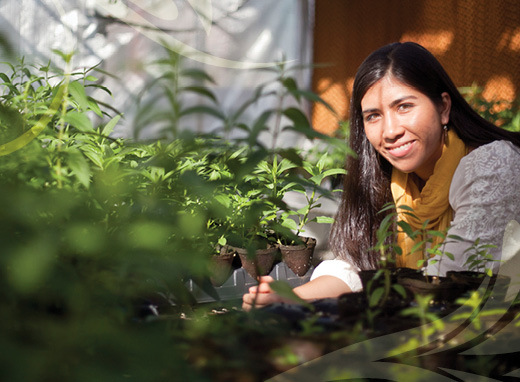 Inside the commercial greenhouses of central Florida, farmworkers, mostly young Latina and Haitian women, work in oppressive conditions tending and harvesting plants to be sold in retail stores across the country. The repetitive motion of bending over to cut the plants often causes chronic lower back pain. Skin irritations also are common, resulting from heat and exposure to pesticides and fungicides that the women apply to the plants, sometimes with nothing more than a garbage bag wrapped around their bodies for protection. "These women are doused in these chemicals because of the direct contact that they have with the plants," explains Valerie Mac, a doctoral student specializing in environmental health nursing. "Many of these chemicals haven't been studied in women of childbearing age, so we don't know the risks for them and their unborn babies." As part of a four-year study funded by CDC's National Institute for Occupational Safety and Health, Mac works with a team of researchers in Florida to assess occupational and environmental health risks for female farmworkers in four counties. Led by Emory nursing Dean Linda McCauley, the study is providing information to develop an education program to help these women better protect themselves. The study is one of several research projects under way in the Lillian Carter Center for Global Health & Social Responsibility. More than 260 women working in nurseries and ferneries are taking part in the study. Surveys are conducted by leaders in farmworker communities or who have worked in these settings in the past. This approach, says Mac, is essential to building trust so that the women feel comfortable participating in the study. 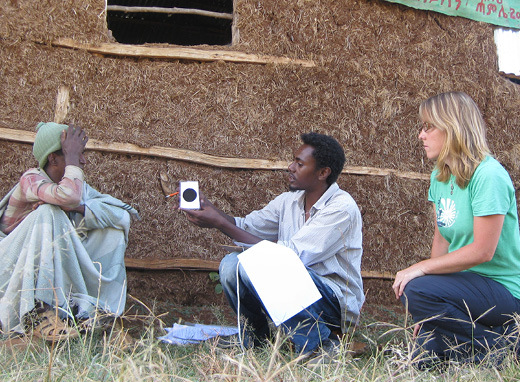 Michelle Dynes is working in Ethiopia to fill a gap in research on teamwork in health care systems. This area of research is relatively new even in Western countries. In rural Ethiopia. All too often, when a pregnant woman goes into labor but starts experiencing complications, her traditional birth attendant, accustomed to working alone to assist with deliveries, doesn't know or feel compelled to call on a skilled health extension worker for help. The woman and her unborn baby later die. Preventing such scenarios is the focus of the Lillian Carter Center's Maternal and Newborn Health in Ethiopia Partnership (MaNHEP), which partly aims to bring more frontline health workers together to provide safe maternal and newborn health (MNH) care. Doctoral student Michelle Dynes is helping shed light on attitudes and beliefs about teamwork among various cadres of health workers. This information will inform MaNHEP as it works to scale up interventions to build community-based MNH care systems throughout the country. In rural areas, traditional birth attendants and health extension workers primarily provide care to mothers and newborns. But the disparity in experience, training, and education among these groups necessitates a team approach to safe delivery. "Each of these groups has something significant to contribute to community MNH care," says Dynes. "Health extension workers have extensive training but lack hands-on experience, while traditional birth attendants have deep experience but lack formal training. Ultimately, the goal of community-level MNH care should be to tap into the knowledge and skills of each health worker group to maximize the quality of health services."